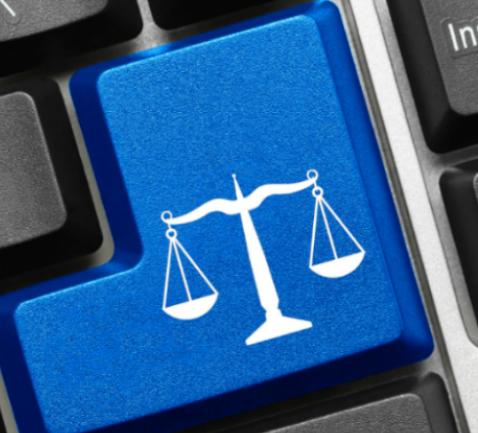 The potential role of technology in the delivery of access to justice remains contested. All round the world, there are respected and established advice workers and lawyers who assert the primacy – sometimes the exclusivity – of face to face interaction with low income clients. But, let’s sidestep the big abstract battles and take the pragmatic position that technology should best be seen as a way of supplementing, rather than replacing, traditional forms of service delivery. After all, almost everyone nowadays has a website and uses ‘productivity tools’, if only Microsoft Office. It would be very odd if technology transformed all of our society and economy but left access to justice untouched. In the face of the maelstrom of new initiatives and tech start ups, most of them aimed at the commercial sector of the legal market, let’s try to identify the different ways in which technology may play a role in increasing access to justice. And the point of this exercise? It is not to give a green light to politicians and administrators to cut face to face provision. It is to open minds to what might be possible and to draw up a taxonomy that allows us to place new developments. Websites can become the focal point of services. This is a change that it is absolutely fundamental for both the profit and non profit sector. For law firms, it breaks with the traditional need to be locally based in a High Street location, ideally close to a bus stop. It allows firms to be organised around the primacy of a website supported – or not – by physical offices. That, in turn, gives a potential edge to businesses with certain advantages, notably, sufficient investment to create an effective web presence, national or regional branding and organisation (aided in England and Wales by the relaxation of third party ownership of law firms). That has encouraged initiatives like Co-operative Legal Services which seems to have weathered early difficulties to be seeking to re-establish itself at the forefront of fixed fee delivery of matrimonial services for low income clients. In the not-for-profit sector, national providers are developing jurisdiction-wide information provision along various different models. In Ontario, Cleo (Community Legal Education Ontario) is co-ordinating a Steps for Justice site as a collaborative and accessible guide to the law in the province. In England and Wales, the national Citizens Advice Service is, though it might not yet be quite ready to admit it, turning into a digital first service supported by its local branches rather than the other way round. This move raises some interesting questions for some providers – like law centres – that grew out of neighbourhood or community movements and have very much stressed this as part of their identity. But, some recognise that technology can allow them to leverage their value through, for example, the use of Skype discussed below. The personal tailoring of information on the net using its interactive capacity in what was once known as web 2.0 is one of the big advances largely to come. This is where the Dutch Rechtwijzer, now brought back from premature extinction, was such a pioneer and the continuing MyLawBC are so valuable. The advance of guided pathways through information where the user answers a series of questions to narrow what they are given – in the same way as on an airline site – surely remains the frontier of web-based information provision with vast potential for further exploration. 3. Practices can go virtual. A physical office is no longer required. Advisers can communicate with users through a variety of tools from email to video. We are still right at the beginning of the commercial and not for profit application of this simple advance. The American Bar Association Solo, Small and General Practice Division has been interested enough to publish guides on how to do this. Literacy, both digital and otherwise, is undoubtedly a barrier but in almost all jurisdictions there is serious experiment with the potential of document self assembly. In the US, a2j author has fostered the development of a number of tools. In the UK, there have been a number of projects using document self assembly to help users, for example, to make structured claims for various disability benefits eg such a c-app. Personally, I was a fan of Siaro, a product which has failed. What it offered was essentially a pre-interview family case questionnaire linked with a dashboard for the interviewer which allowed the potential reduction of costs in a matrimonial case. Various casework management systems are beginning to talk about integrating the same process. Less sophisticated, there are clear gains to be obtained from such simple measures as introducing basic packages like Microsoft Office into low income organisations. Case Management software providers like the Canadian firm Clio are now promoting products that allow automatied client intake. What an opportunity perhaps for law centres and their like around the world on a common intake system that would link to standard case management systems. Courts around the world are following British Columbia’s lead and England and Wales headlong dash, to implement online small claims procedures. As they do so, agencies assisting self represented litigants are bound to increase their orientation to digital delivery to mirror this. Crowd funding litigation is one of the most dramatic uses of technology to expand litigation funding. Realistically, this is likely only be possible for a small number of cases but it is a dramatic extension of the possibilities for a popular big case. In the UK, crowdjustice.com boasts of having funded three Supreme Court (this is the UK’s highest court) cases. Rightsnet is a good example of a digital support network for welfare rights advisers in the UK, featured in a recent posting. It allows the support of advisers who might otherwise be isolated with news, caselaw, changes to legislation and discussion fora. 9. Public legal education can be provided ‘just in time’. Technology allows the integration of education at the point where users actually need it, for example when they need advocacy skills and information on law and procedure as they progress through a court case. A great example of the potential is shown by BC’s Justice Education Society’s Families Change programme which has now been adopted by all Canadian provinces and some US states. 10. Interfaces can go conversational. Chatbots are beginning to emerge into the access to justice space. Ask a question and they will give you and answer. You don’t need to use technical language for the best of them. So far, frankly, they are pretty crude and, for example, Professor Richard Moorhead has just done a devastating demolition job on one of the most publicised bots – Joshua Browder’s DoNotPay relating to parking tickets. His accusation is, effectively, that it can generate letters which are unethical, simplistic and slipshod. He is worth reading but, nevertheless, there is clearly great potential in the conversational interface being developed by such as Google and Amazon. For a start, it may allow the bypassing of literacy difficulties. If you think the list could be refined please do get in touch – rsmith@rogersmith.info.